We inform you that Videx will be closed for Easter holidays on Monday 22nd April, and for Public Holiday on 25th and 26th April. We seize this opportunity to wish you a Happy Easter! 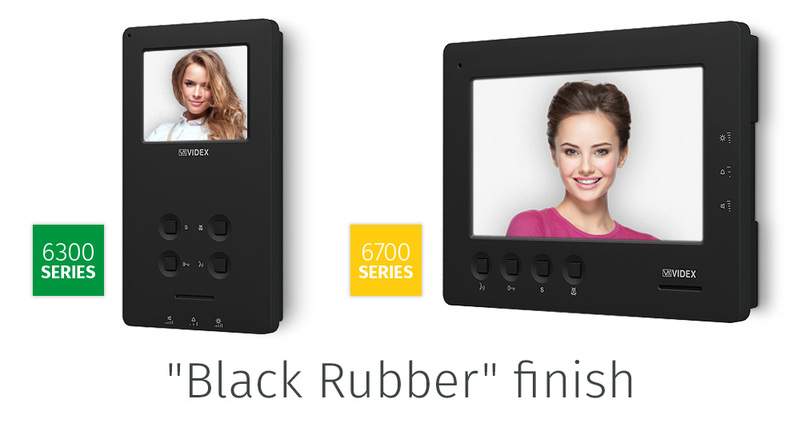 The 6300 and 6700 Series video phones are now available in "Black Rubber" finish. This special painting gives the video phones an elegant matte black colour finish and offers a pleasant "soft touch" feeling thanks to the rubber effect. We inform you that VIDEX ELECTRONICS S.P.A. will be exhibiting at SICUREZZA 2017 show in Milano from 15th to 17th November 2017. You are kindly invited to visit us at the Fiera Milano, Pad 7 U11 V12. We will look forward to meet you. 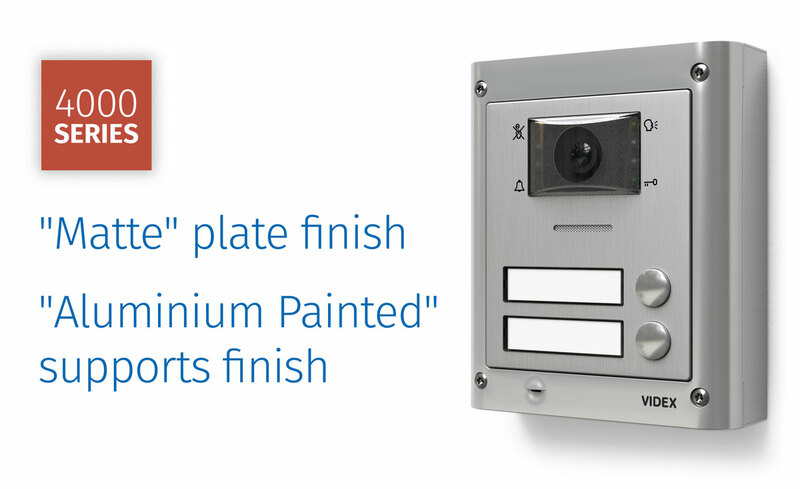 The VK4K series videokits offers a number of new operating features and allows greater exibility for installation. Power supply can be connected to the videophone or the outdoor station. Now available also in "X" version with built in proximity key reader that can store up to 30 keys.